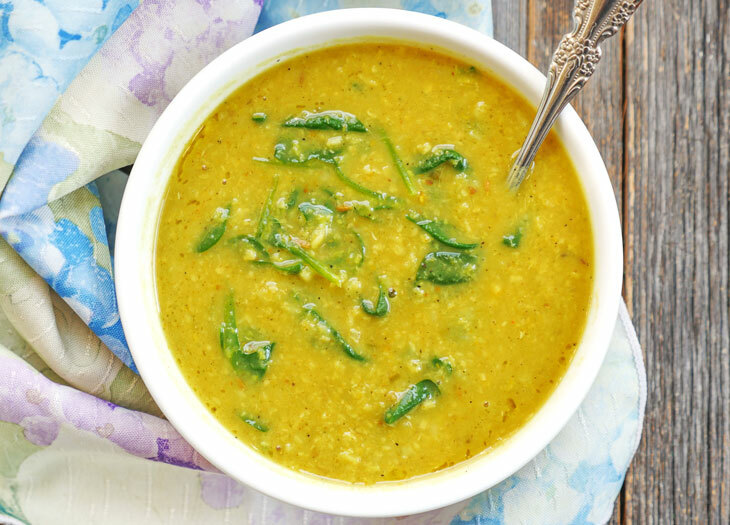 Thanks Pure Indian Foods for sponsoring today’s post! I love their organic grassfed ghee! I love that tradition is making a comeback. Making bone broth, oil pulling, taking fermented cod liver oil and putting butter in tea are not new concepts. While these things seem to be making headlines lately, the fact is that these ideas have been around for thousands of years. Before there was bulletproof® coffee, there was buttered tea. Tibetans have been drinking this hot beverage since the 15th century. In India, drinking chai made with ghee isn’t out of the ordinary. Growing up, my mom and her family members drank buttered chai in India. I’m convinced that there’s no better way to start your day than by slowly sipping on a hot cup of buttery chai. 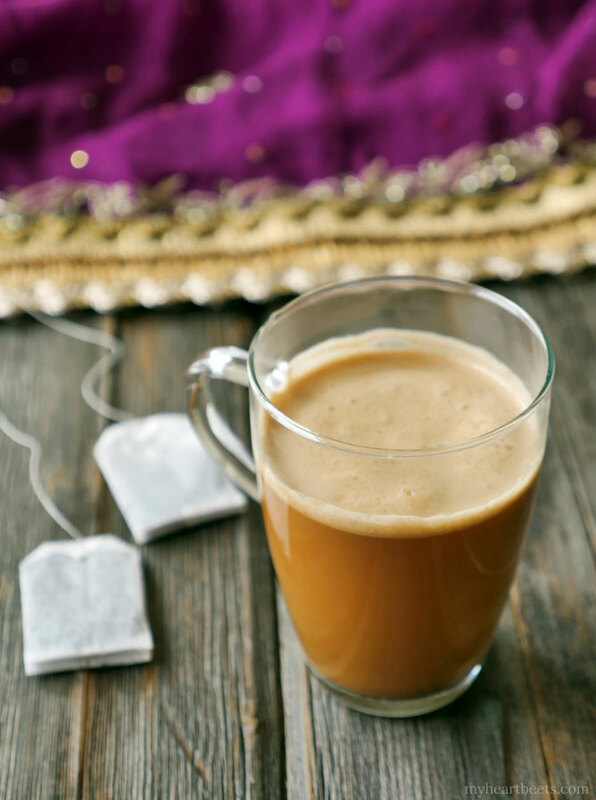 If you’ve never experienced the creamy, rich flavor of buttered chai, you’re missing out. A cup of this creamy, frothy drink will make you forget about your troubles, at least for a few minutes. You can make butter tea with butter, ghee or coconut oil. Lately, I’ve been using Coffee++ by Pure Indian Foods. It’s a butter creamer, made with their organic cultured ghee and MCT (Medium Chain Triglyceride) oil made from coconut and palm. I wake up pretty early to get to work and the fact is, I’m not typically hungry when I wake up. While I might not be in the mood for breakfast, I am always in the mood for coffee or tea. Using butter as a creamer helps keep me full and by mid-morning, I’m ready for a hard boiled egg or two. I don’t believe in skipping breakfast altogether, but I’m okay with delaying it a bit. Besides, eating a late lunch helps the work day go by quickly. Eating healthy fats in the morning helps me manage my cravings. I’ve also noticed more energy in the mornings. Do you put butter in your tea or coffee? Would you? Strain the drink if desired, then serve. PAID ENDORSEMENT DISCLOSURE: This is a sponsored conversation by Pure Indian Foods, however all opinions are my own. I only support companies that I truly believe in and whose products I use myself. In order for me to support my blogging activities, I may receive monetary compensation or other types of remuneration for my endorsement, recommendation, testimonial and/or link to any products or services from this blog. like it but not a fan of cloves. I drink buttered coffee, i just made a chai mix (for a smoothie), I recently tried the ghee sampler pack (yum) and now you’re telling me I can put it all together? I’m in love with this!! I’m sure once I’ve made this recipe I will give it a 5!!! This looks so good my mouth is watering!! I love chai, so am definitely going to give this a try! Sounds delicious and decadent! I enjoyed reading the history of this drink. And I LOVE this idea! I love ghee in my coffee, never tought about putting it in my chi tea but it makes sense, looks delish! I love chai! I would like to give this a try. Would this be good in coffee too? Would this be good in coffee as well? Oh, my word this buttered chai sounds amazing! I love tea, I will give it a try. Thanks! I’ve put coconut oil and ghee in my coffee before, but never in my tea! Can’t wait to try this tomorrow! It sounds perfect on a chilly morning!! This seems like a yummy and satisfying dessert too! You bet your bottom I would! Love buttered chai, tea & coffee…it’s all yummy creamy deliciousness!! I love drinking my bulletproof coffee every morning! It keeps me full and gives me mental clarity. I usually put protein powder in it for an extra kick. 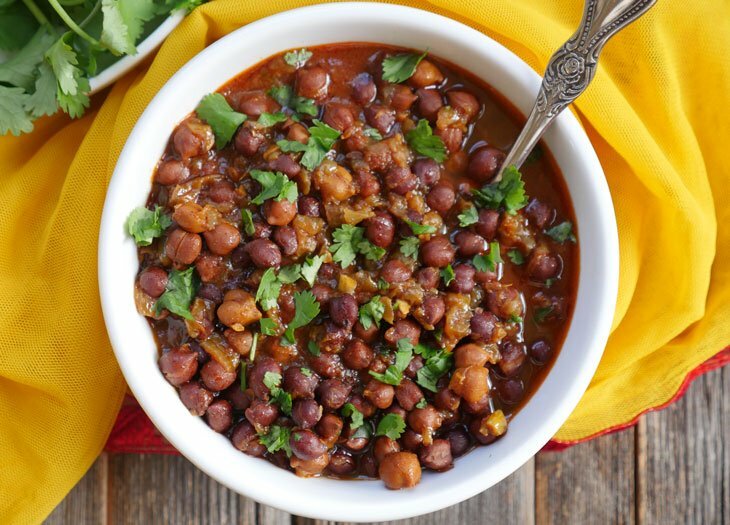 I would love to try it with ghee! I would love to win so that I could try this awesome recipe. Lauren, I usually use my blender or my nutribullet but I’m sure whisking will work too! Let me know how it turns out with the oolong! Sounds delicious! I will definitely be trying this recipe! sounds wonderful…can’t wait to try! I think I will have a new favorite cold weather beverage! Yum!! I am so happy to come across this and really looking forward to trying it (the chai and the coffee++)! This looks delicious! I always crave chai drinks in the fall. I love my homemade chai but have not yet braved the addition of a fat. I may have to go and try it now. Two of my favorites combined! I already drink my own version of “Bullet-proof coffee” with ghee/coconut oil and turmeric,black pepper and cinnamon to keep me warm and alert in the winter. This recipe sounds wonderful as I liked chai ever since my Pakistani roommate introduced me to it. Thank you! I have a pot of chai boiling on the stove as I type. I will have to try it with some butter added. This looks fantastic and I cannot wait to try it!!! Want to try this! Yum. I love buttered Chai! I’ve made it many times with Kerrygold, so this new ghee product sounds perfect. Thanks! Ashley, I didn’t see the 2 T. Sweetner in the recipe box above. Looks good & simple, will have to try. This sounds amazing! I’ve been adding coconut oil to my coffee for a while. I can’t wait to try this! This looks so good. Love chai so so much! I love everything about this recipe and giveaway! Thanks! Love to add ghee to my coffee! I can’t wait to get home and try this! Wow, it looks delicious! I would definitely give it a try. I just tried the oil this week because a friend had it and I’m hooked! I learned about buttered chai for the first time from you on Bloglovin. Your Buttered Chai recipe and I are headed to the grocery store. Yum is in my future:). Thanks! I have no doubt this would sound soooooooo good. All of your other recipes are to die for. I make them all the time. I haven’t tried it yet…but keep meaning to! This sounds yummy! Definitely will try it. Love the recipe! I can’t wait to try it! Can’t wait to try this!! Looks yummy!! Yum, I hope I win this so I can share this with my sister! I finally convinced her to try butter in her coffee, so I think she would be on board with this! I cannot wait to try this! I just sent it to my daughter, who fell in love with chai (and the kids) on a mission trip to India! I want to try this recipe. Looks so delicious! I just got some masala chair I’m going to try with this method. Sounds yummy. I really enjoy chai tea, and have put coconut oil in my coffee in the past. Definitely will be looking to try butter in chai tea. Mit sounds like it would be velvety rich. Is this one or two servings? It seems like a lot of tea for one! two servings 🙂 or one really big serving! Going to try this tomorrow morning when I get my Chai on! This looks awesome! Looking forward to trying it. My husband does and every once I take a sip. It’s nice! It never occurred to me that I could do the same thing with chai! Oh and I am totally trying this recipe. I’m not crazy for fennel but I like chai and your recipes have never steered me wrong! I had buttered tea at the Rubin Tibetan Art Museum in NYC. Very rich and unusual, but good. I plan to try this recipe. Let me know what you think, Danette! Yum! Sound delish! I love Chai. This sounds amazing! I love chai tea but I have never tried it with ghee. I can’t wait to try this recipe! I’ve been experimenting with buttered or oiled hot tea, too, using flavored tea bags then adding whatever strikes my fancy. I’ll enjoy trying your version. I’d love to hear what spices you’ve tried adding! I am looking forward to making this when my offspring are home at Christmas break, a new family tradition. Thank you. I hope your whole family loves the chai – let me know what they think if you get a chance! I’m 7 months pregnant and while I wasn’t a heavy coffee or tea drinker prior to pregnancy I’ve found myself missing it. And then just a few days ago I had the brilliant idea to make bulletproof tea. AND coming across your post on FB about buttered chai — CHAI IS MY FAVORITE. Flo, that’s awesome 🙂 Glad you found my post! Hope you like it! Always excited to find new ways to add spices to my diet. The added fat will only enhance and smooth out their flavors. I’ve been drinking butter coffee for about a year now, but had never even thought of buttered chai! Gotta try this soon! Love their ghee, haven’t tried anything but the plain yet though. I just started making butter coffee so I’d love to try this! Pinned the recipe! Looks good! I will have to try this as soon as I get some more ghee. I love adding butter to my coffee, haven’t tried it In tea yet but now I will have to! Thanks for the Chai recipe! I’ve been looking for a warm morning drink! This sounds so warm and cozy! Can’t wait to try the Chai AND….hopefully win some jars of COFFEE++! This looks so very Devine. This recipe sounds divine!! Can’t wait to try it!!!! I’m going to go make this right now! i make my own chai concentrate and i think that coffee mix would be great in it! That sounds yummy!! I’m going to try it!!! I love Chai so this sounds great. Love chai and love ghee! Definitely going to try this! Amma, that’s great – I use my nutribullet at work to make buttered chai – it’s perfect for small blended drinks! Let me know what you think of the recipe! I love chai and I love ghee, so I WILL be trying this tomorrow morning! I am not a big tea drinker but this just might convert me! Assuming the tea needs to be warm/hot when blending. Or have you tried making in a larger batch and reheating? I drink chai every day, minus the spices. I shall have to try this. It sounds yummy! This sounds so good I think they will try it in the morning. Would love to try that Coffee ++ too. Sounds so yummy- I love your website! So glad I found it! I am eager to try the recipe. And glad to learn about coffee++ ! I haven’t tried the recipe yet but I’m sure I’ll love it! 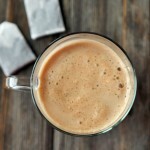 I’ve drunk bullet-proof coffee/tea for years and love Chai…this combines them both! Thank you for sharing this recipe. It sounds delicious, and the butter creamer sounds like an interesting alternative. I love Chai, never drink Coffee. So the whole Bulletproof thing, doesn’t interest me much. I would love to try out this recipe. Oh his sound so good I think I’ll get out of bed and go try it. I’m excited about this new coffee ++ too! Yum, sounds delish! Can’t wait to try it out! I love chai, but never thought of making it from scratch. The only spice that caught me by surprise was fennel. While fennel is one of my favorite veggies, I’m afraid that fennel (seed) is one of my least favorite spices. And thank you for mentioning Coffee++ – I’m going to look into trying some. My tummy is sensitive to caffeine, but I do like the tummy friendly herbal ingredients like ginger and cardamom. I would love to try a caffeine free version of this! Colleen, just switch out the tea bags for decaf 🙂 Let me know what you think! I LOVE Chai tea and this looks delicious!!!! I am very excited to try this recipe. 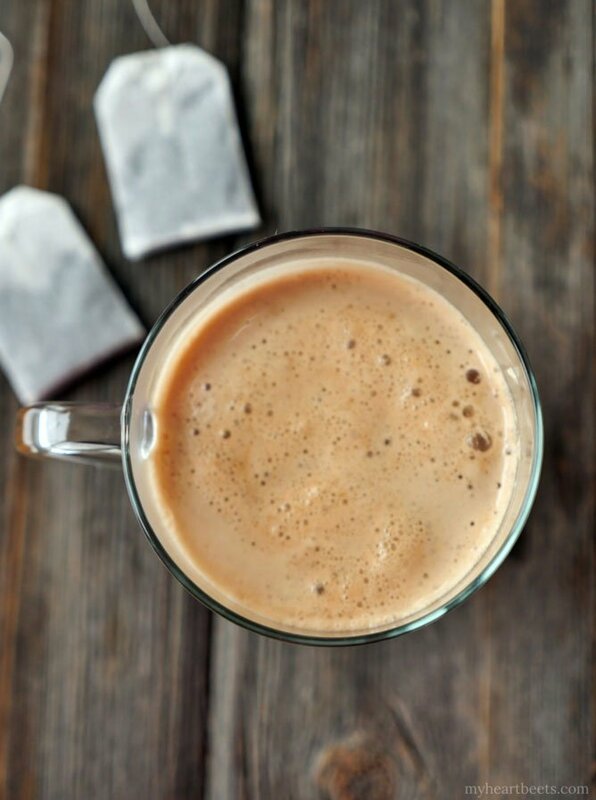 I love chai, so this recipe looks amazing! This recipe sounds delicious! And, yes, I do put butter in my coffee. This sounds delicious. I can’t wait to try it! sounds delicious! I love the taste of butter with any kind of black tea! I’ve been drinking it in my coffee, but I think I have a new favorite buttery beverage 🙂 I made this this morning, and it is AWESOME! The recipe sounds great, all the spices are perfect for the holidays, too! 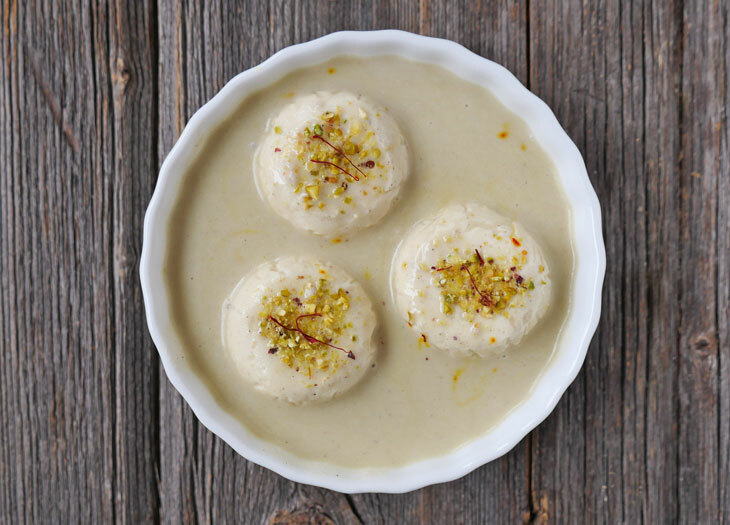 Your recipes are always so great- I’ve shared this one with friends of which whom ALL love it! Hi Lisa, Marnie J. was the winner – I sent her an email awhile ago and she was very excited. I’ve updated the rafflecopter widget to show the winner. Really like anything Chai, especially with some healthy fats mixed in! 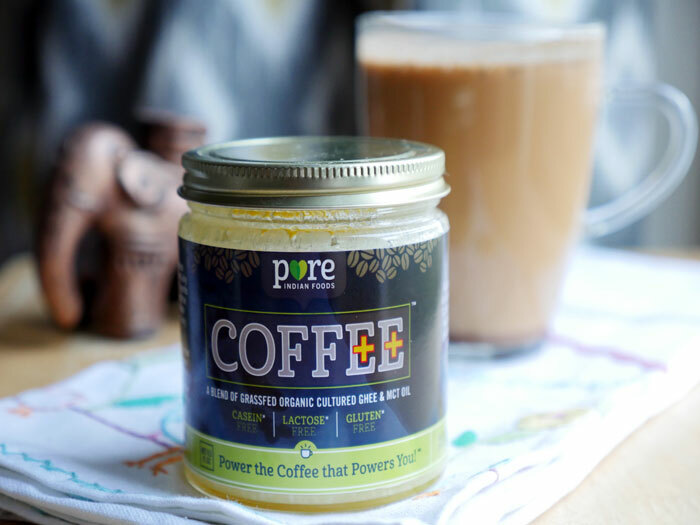 As an alternative, you could use The PowerCreamer, which is Grass fed Ghee, Coconut Oil, and MCT Oil. It works great for this recipe as well! Hi, how come you didn’t cook the spices with the black tea itself ? Wouldn’t it taste raw when just throw them in the blender with the other ingreds? I just add the ground powder to the blender with the hot black tea – it’s warm enough to heat the spices through in my opinion but you can definitely brew it with the tea if you’d like! This is very good! I used my vanilla bean ghee in it, and it had the most perfect flavor! Thanks for the recipe! Vanilla bean ghee sounds incredible!